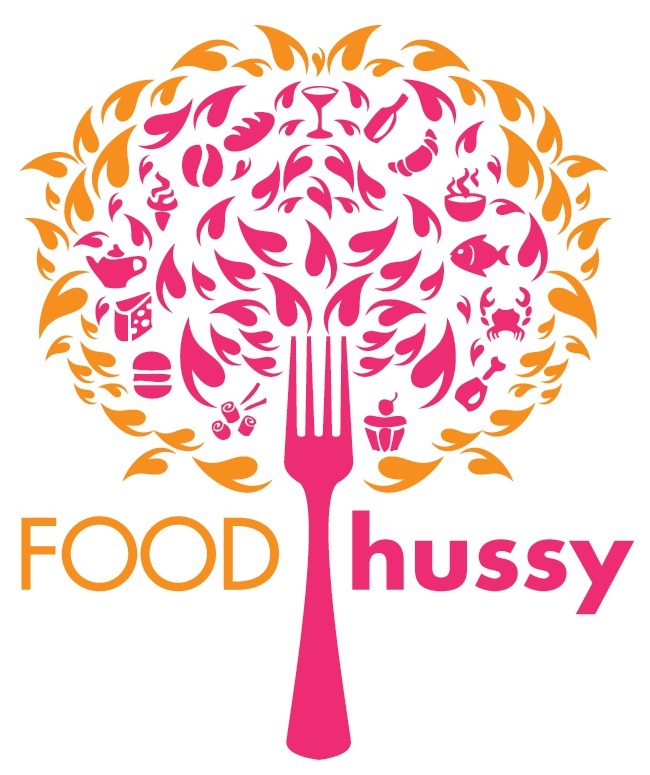 Food Hussy Review: Healthy Eating at Liberty Center | The Food Hussy! Liberty Center is quite the attraction - it's put a giant "mall" in place of corn fields and it's pretty amazing. There are stores, restaurants, a movie theater, apartments, a hotel, green space, family activities, gardens and more - all at your finger tips. Liberty Center is simply a really good time! 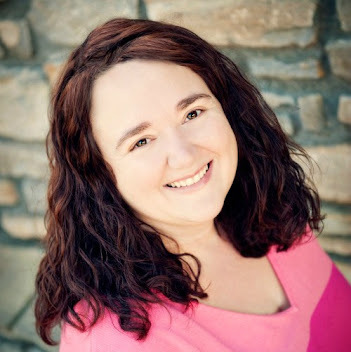 They have numerous green spaces with fountains and family-friendly events. There are tons of places to sit and just enjoy the outside. The light posts all have speakers that pump happy music for the shoppers to hear. The parking is ample and there are a few options: Garage/Lots - those are free but a little further walk; Metered - there are a limited number of meters on the "side streets" and the nice thing is that all the money paid goes to the Liberty Center Foundation. This fountain even has an interactive component - push the button and the bears spit water into the fountain. It's fun and had a lot of fans. With all of this fun - there's got to be some food around - right? Of course! And with summer (shorts, bathing suits and all of that) just around the corner - we have to think about HEALTHY places to eat! 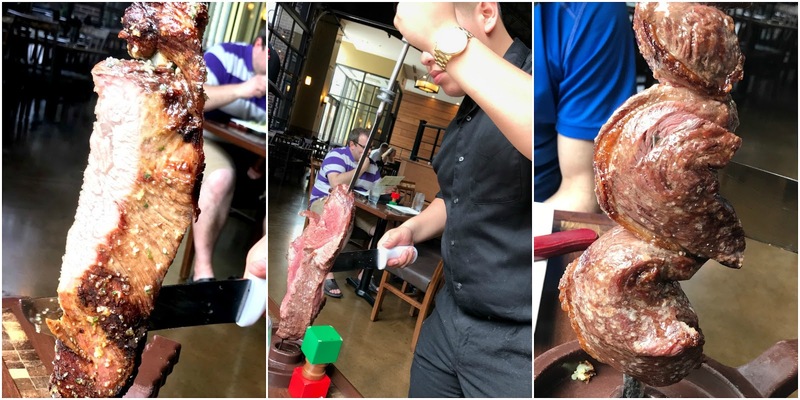 One you might not think of is the Rodizio Grill - it's one of those Brazilian Steakhouses - which is typically a place where OVEReating takes place - right? But it doesn't have to! 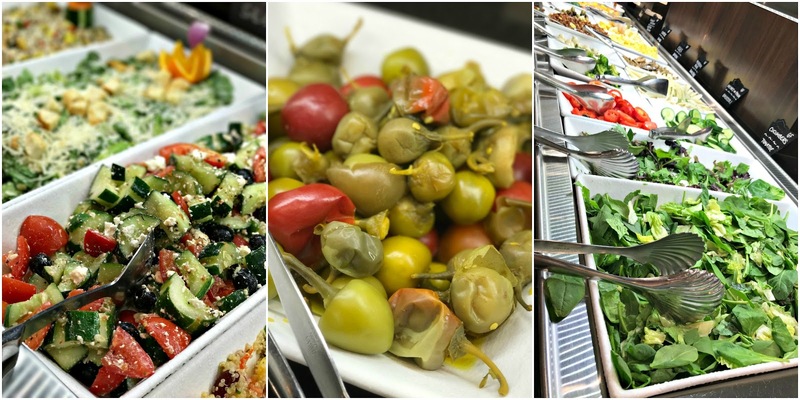 Besides the "full" option - which includes the all-you-can-eat meat men coming to visit you - you can get a "salad-bar only" option for $7 less! (Lunch prices: $25 vs. $18). The salad bar has lots of great options and far more interesting than a typical salad bar. My husband said "where's the normal lettuce?" (i.e. iceberg) - it's nowhere to be found! They have spring mix or spinach. There were a ton of unique veggies like hearts of palm - which I have never seen on a salad bar. Even the broccoli was better - they blanched it so it was slightly cooked but still crunchy - but not raw (I'm not a fan of raw broccoli). 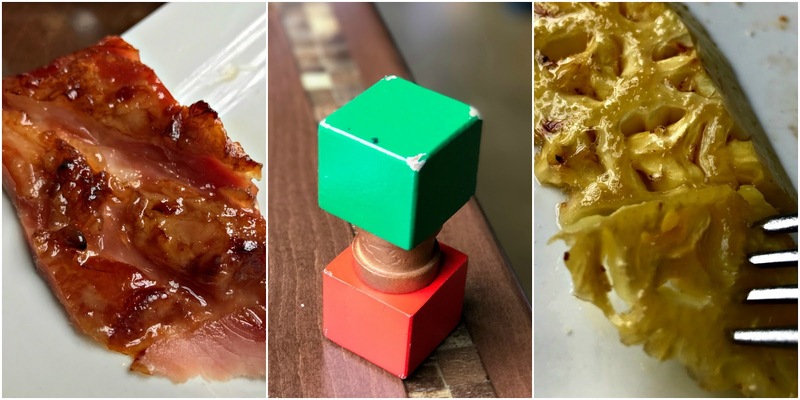 My hubby did get the meat option - and it had some unique options - like glazed ham and grilled pineapple. The pineapple was really tasty! (He might have given me a bite!) The little wood chunk in the middle is the signal as to whether you want more meat or not. Green means more, red means stop, lay it flat means you need your server. Larry also enjoyed a few kinds of beef - most were medium rare and delicious. One was more well done...gak! The medium rare/rare was good. The Picanha (right) is their signature cut and is also the most popular cut in Brazil with a lean cut of meat and a thin fat ring (fat = flavor). They also serve a variety of beef, pork, chicken, lamb (select locations) and seafood (select locations). In addition, we had a plate of appetizers brought to us that included cinnamon-glazed plantains, pao de queijo (cheese bread) and fried polenta. Since I was going the healthy route - I just tried the plantain - and they were sweet and caramelized. I'm not a fan of bananas - but do enjoy a glazed plantain. All in all - we definitely enjoyed Rodizio Grill and it's definitely possible to eat healthy there - even with the meat option. It's all about portion control and keeping an eye on how much you're eating. Northstar Cafe is a breakfast/brunch/lunch place based out of Columbus - they have a number of healthy items. One that stood out was their Northstar Burger - made with organic black beans, brown rice and beets, topped with white cheddar, kale, tomato, pickle and onion + simple salad ($11). The Cheesecake Factory has Cheesecake in it's name - how can it be healthy? Well - there's options - you just have to pick them. 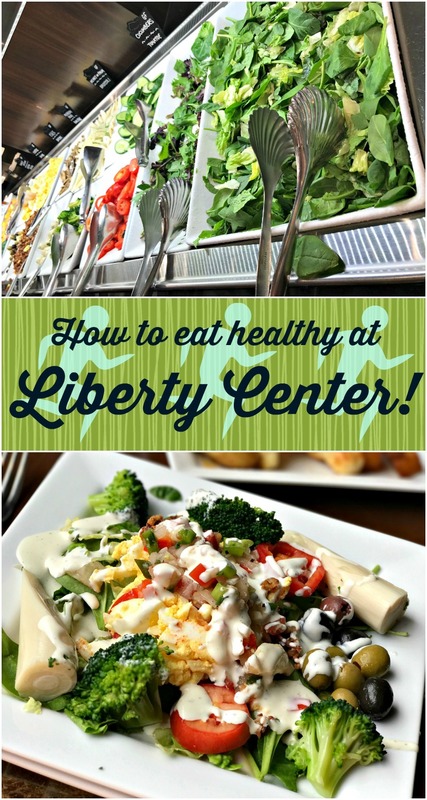 For example, they have a Super Antioxidant Salad with a blend of salad greens, spinach, kale, avocado, broccoli, grapes, roasted pear, blueberries, onion, sunflower seeds and almonds topped with a lemon-blueberry vinaigrette. Kona Grill has sushi and a wide variety of entrees that include 60 healthy choices ("healthy" = 400 calories or less for apps/etc and 600 or less for entrees). One that caught my eye was the Rainbow Naruto sushi roll at only 190 calories!! It's got king crab (oh my), citrus aioli, tuna, whitefish, salmon, asparagus, sprouts, cucumber wrapper, chili lime spice, green onion and spicy yuzu ponzu. 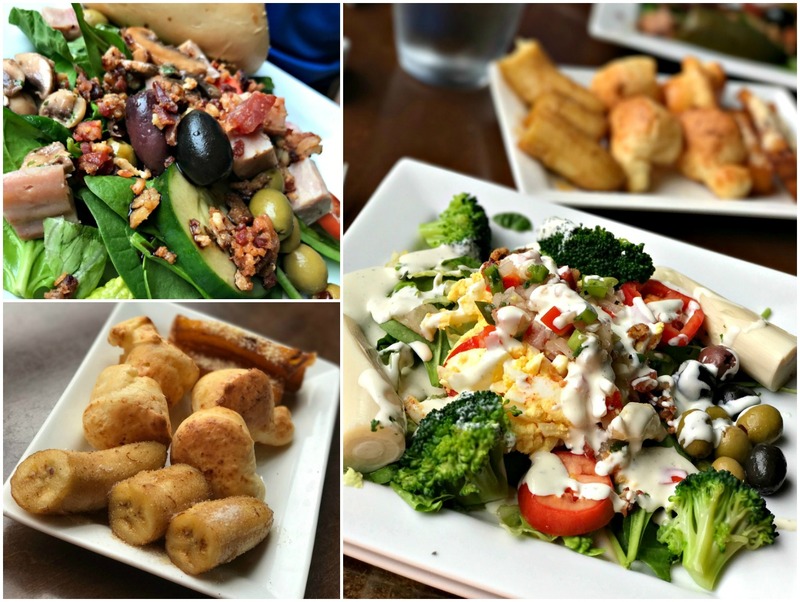 Besides calorie-count a lot of folks are concerned with having a gluten-free diet and there are a lot of options including Brio Tuscan Grille. They even have a gluten-free pasta with chicken, seared mushrooms and a red pepper sauce ($18.25). They also have a light menu to choose from as well. So don't let shopping stop you from eating healthy - there are plenty of good choices to be had. And while you're at it - get your walking in while you're there! It's a beautiful walk around - even if you're just window shopping. I received item(s) here from Liberty Center in exchange for writing a blog post.